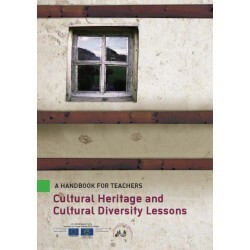 The units on cultural heritage and cultural diversity, presented in this handbook, have been designed for the purpose of providing an introduction to general topics related to cultural heritage and cultural diversity. 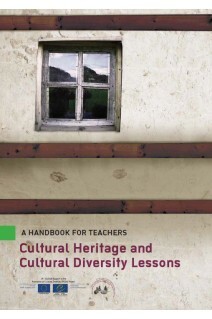 It is meant to be used as supplemental material within the civic education course to provide a basic understanding of some of the issues and begin conversations and thinking about the topic of culture. The themes and learning objectives are meant to be used as a starting point and guide for educators. Thus, teachers are encouraged to develop further discussions and activities beyond what is mentioned. There are eight different lesson units that address cultural heritage and cultural diversity. Each lesson unit has a thematic focus and contains learning objectives, background information and activities for grades 3-6 and 6-9. After evaluating the level of the students, the teacher can choose a lesson that is grade appropriate. The lessons are designed for a forty minute class period, yet activities can be adapted or revised to be used over several class periods. The activities for each of the lessons are detailed in the procedural instructions and there are basically three components for the lesson activity: Introduction activity, Main activity and Debriefi ng. This structure provides the teacher with an activity to introduce the learning topic, and then the teacher and students explore the ideas/themes in more depth during the main activity. Finally, students have the opportunity to share what they learned and felt during the debriefing stage. Follow-up activities and variation of activities are provided in case the teacher would like to further investigate the concepts or adapt activities for each lesson.